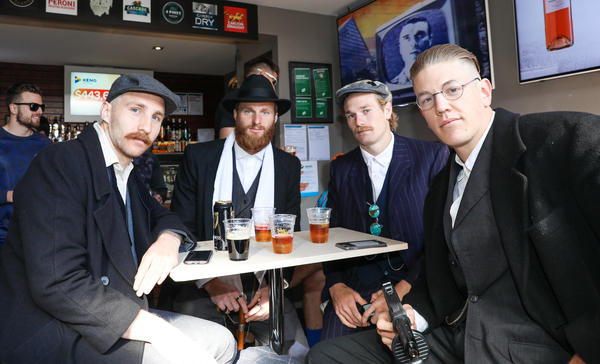 Geelong’s traditional Wacky Wednesday dress-up has drawn mixed reactions from fans. Most supporters were amused by the antics of the Cats’ players, which included Joel Selwood and Quentin Narkle arriving together in a vintage vehicle as the Duke and Duchess of Sussex, while Esava Ratugolea was Dennis Rodman and Cam Gutherie appeared as rapper Post Malone. 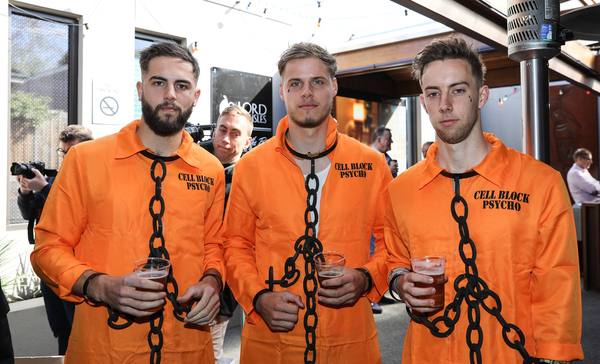 Cats fans usually respond positively to the players’ end-of-season dress-ups at the Lord of the Isles hotel but after Geelong’s limp exit from the finals last weekend a few took to social media to call out their heroes. “Imagine if they dressed up as professional footballers!” Rob Jenner said on Facebook. “Another classless bogan tradition,” Chris Tsorotes posted. 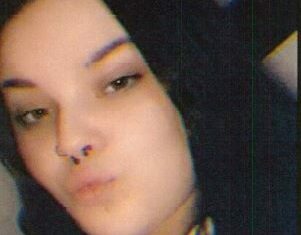 “They should pretend to be AFL players,” said Daniel Wright. “Played like princess (sic) last week,” Darren Dookie Clarke added. “Pity they didn’t make as much effort in the 1st 1/4 Friday night might actually be playing footy instead of playing dress up,” wrote Shane Robbo Robertson. But others were amused at the level of effort the players put into their costumes. “This has got to be the best I’ve ever seen,” said Brayden Ward of Selwood and Narkle’s impersonation of Prince Harry and Meghan Markle. “How good are Geelong with their Wacky Wednesday!” Christopher David posted. “They are good sports enjoy Catters you always have fun,” said Elly Gill. Tom Hawkins and Lachie Henderson came dressed as feuding Australian and Philippines basketballers. Patrick Dangerfield was kitted out in a Canterbury Bulldogs NRL jersey after that club came under fire for its own Mad Monday celebrations in Sydney. 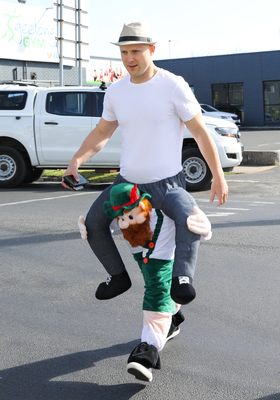 Gary Ablett rode a leprechaun and Harry Taylor came as a milkman. Brandan Parfitt, as Kim Jong Un, Scott Selwood, as Donald Trump, and Ratugolea’s Dennis Rodman posed together for a photo to do their bit for world peace. * To see more pictures, search ID number 185108 at starphotos.com.au.